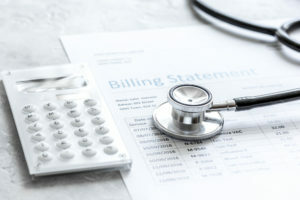 Why Do You Need a Medical Billing Expert? Whether you are acting for the plaintiff or defendant in a legal medical claim, such as personal injury, medical malpractice or workers’ compensation claim it can be highly recommended using the services of a professional medical billing specialists. At Medical Billing Expert (MBE), our medical billing specialists are able to detect discrepancies and errors in bills provided by medical providers and save your clients thousands of dollars in some cases. The cost of providing medical care can be both complex and expensive and yet, errors are often made, whether because of coding mistakes, unbundling errors, doubling up on bills, data entry errors or there has been a failure to apply discounts when medical services have been tied in. Because of the ‘language’ used in medical billing, it can be almost impossible for the individual client, or the attorney who is representing the client, to know whether a particular bill has actually been prepared to fairly account for the services that were provided. That’s where our MBE medical billing and coding experts come in. Detailed knowledge of medical coding and the almost constant updates is a essential requirement in any effective medical billing service provider. Our MBE billing and coding specialists have extensive knowledge of current CPT®, ICD-9-CM/ICD-10-CM and HCPCS coding. They are fully acquainted with the medical coding rules and associated conventions. To assess medical bills for errors and inconsistencies effectively, MBE specialists are also well aware of the rules and guidelines developed for coding nomenclature and methods of reimbursement. When you need to have a medical bill checked for authenticity, whether it is a single medical bill from a single provider or whether it is a more complex charge which has been given by a number of medical care providers, our MBE experts can assess, evaluate and determine what is justified and fair according to the UCR (usual customary and reasonable) schedule. This can save your client potentially thousands of dollars in overinflated medical fees. With Medical Billing Experts on your legal team, you can focus on your case while we analyze all medical bills that will help expedite your claim. Call us or use the form below to make a request for services or pose a query. We will offer discounted rate, if services are bundled with a service from our parent company, Med League Legal Nurse Consultants.